At Midcentury Modern there is one illustrator’s work people come back to again and again. It is so hard to keep your eyes off it. The images not only emote, big time, they proved, early on, how commercial art could succeed without words to draw people in. 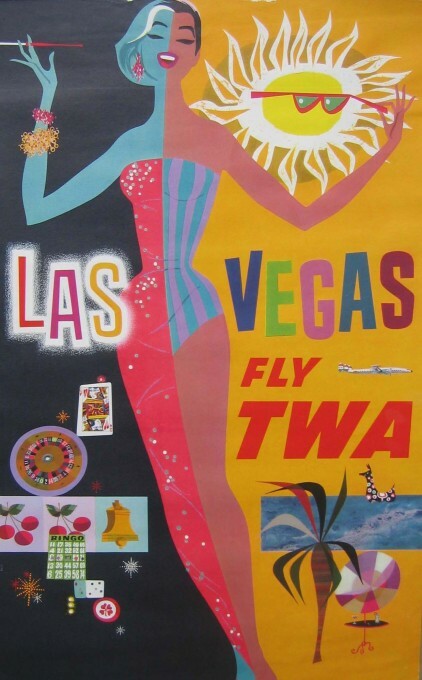 Back in the 1950’s TWA hit advertising gold when they asked artist David Klein to put across the excitement of traveling to cities across the world and across America. 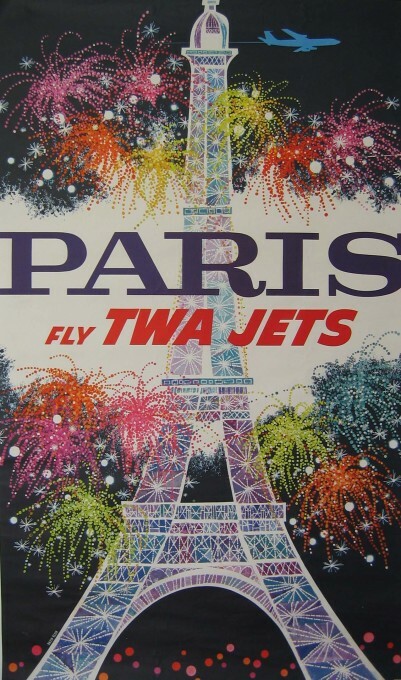 Even Don Draper would not have been able to lay his hands on this art supremo who produced the bulk of this work for Trans World Airlines (TWA) back when it was owned by Howard Hughes, the aviator, courter of Hollywood ‘s finest first ladies and famous recluse so it has a great story behind it as well as good pedigree. Plucked from his work as a poster artist for Broadway with work spanning plays like Death of a Salesman, Brigadoon and Cat on a Hot Tin Roof Klein’s work for the so called ‘airline to the stars’ made him an international name in the art world. 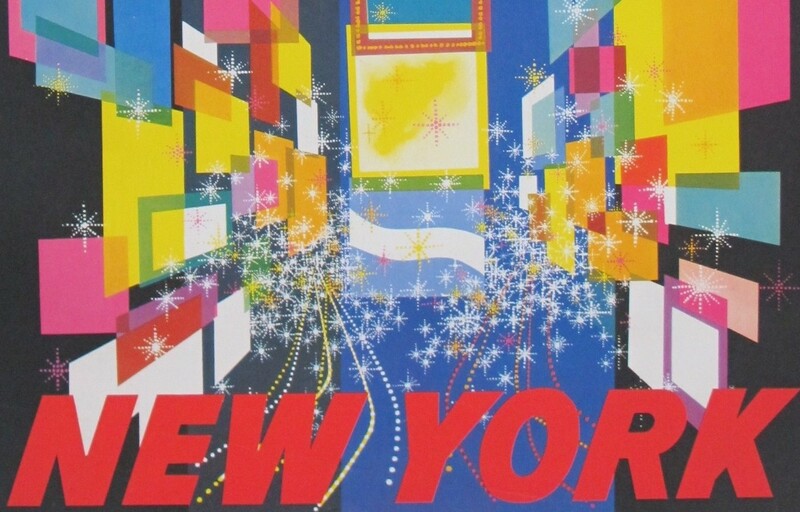 By 1957, Klein’s posters advertising travel across America and worldwide had become so iconic that New York’s Museum of Modern Art (MoMA) has added Klein’s TWA Times Square poster to its permanent collection. To look at this man with his Le Corbusier style glasses, crisp white shirt and black suit you could not imagine the force of creativity that would explode onto the page with bright and exciting advertisements for Paris, LA and New York. 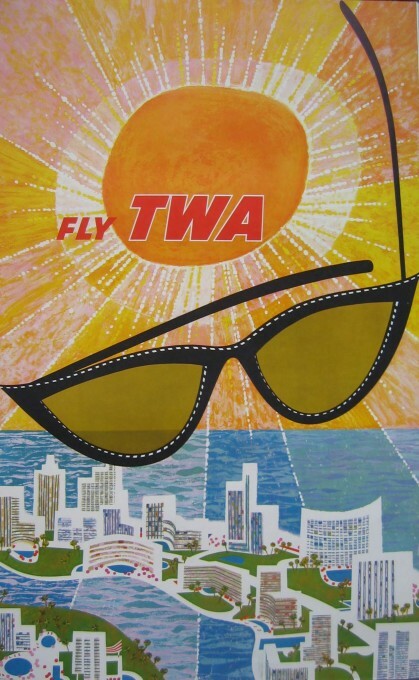 But by the mid-1950s this Texan had established such a reputation as one of America’s pre-eminent commercial illustrators, he was hired again and again during the decade of 1955–1965, to design the award-winning travel posters for TWA that have become emblematic of the Jet Set age. 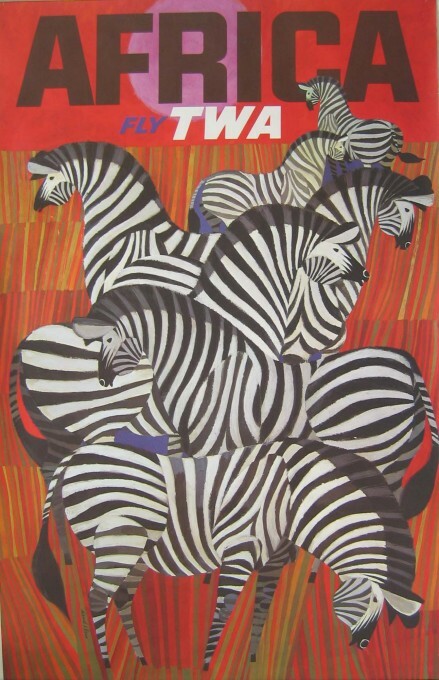 Head to Travel on Paper at The Modern Marketplace to purchase any of the poster’s featured by David Klein or commission a particular design to be sourced. More on Karen Lansdown next week as we tell the story of how she started. That’s brightened up my day thank you! I love David Klein’s work, it exists in than sweet spot between the punchiness of Saul Bass and the playfulness of Mary Blair. Better start saving hadn’t I?